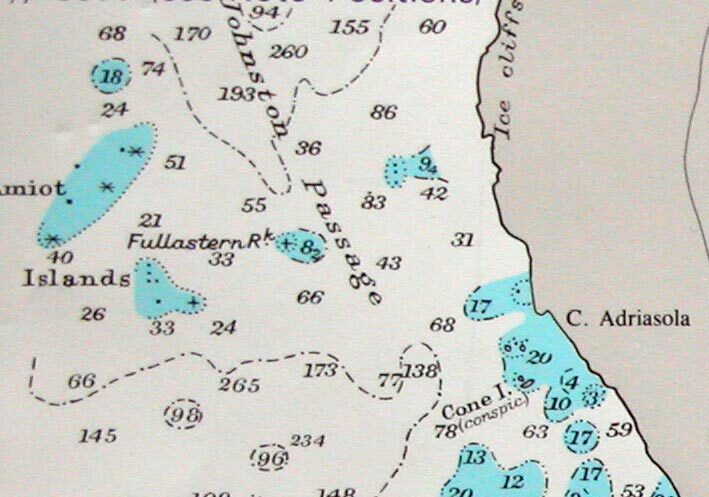 I noticed in a blog post last week that there was a finger of open water extending down the Western Weddell Sea. I've carried on watching this open water in the MODIS satellite data. Whilst it's been opening and closing, there is a lot of open water. It's clearly a major sea ice generating factory at the moment. 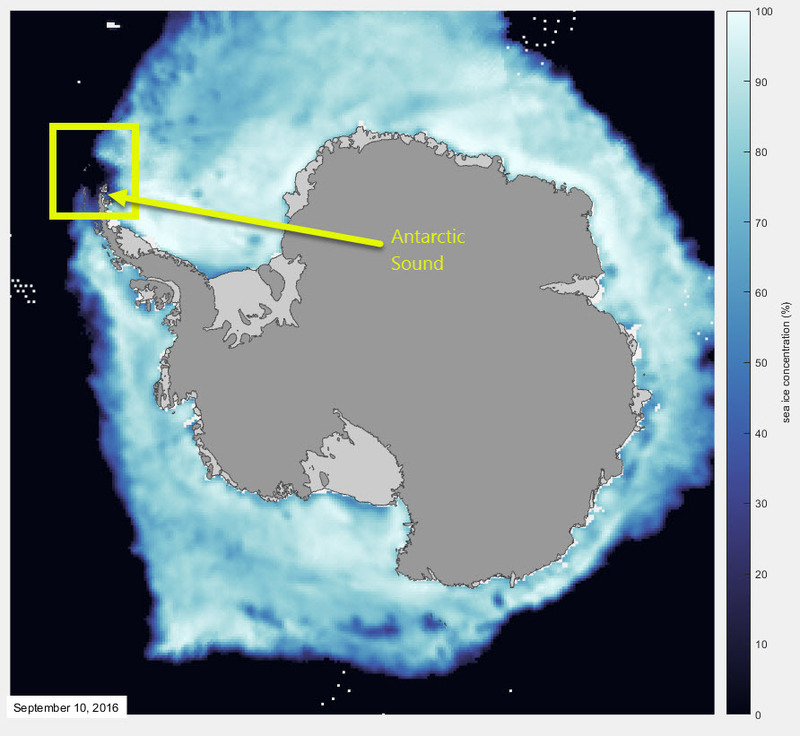 The open water is clear in the lower resolution passive microwave sea ice data too. If you look at some model output there are air temperatures above this open water of between -10° to about -25°C. 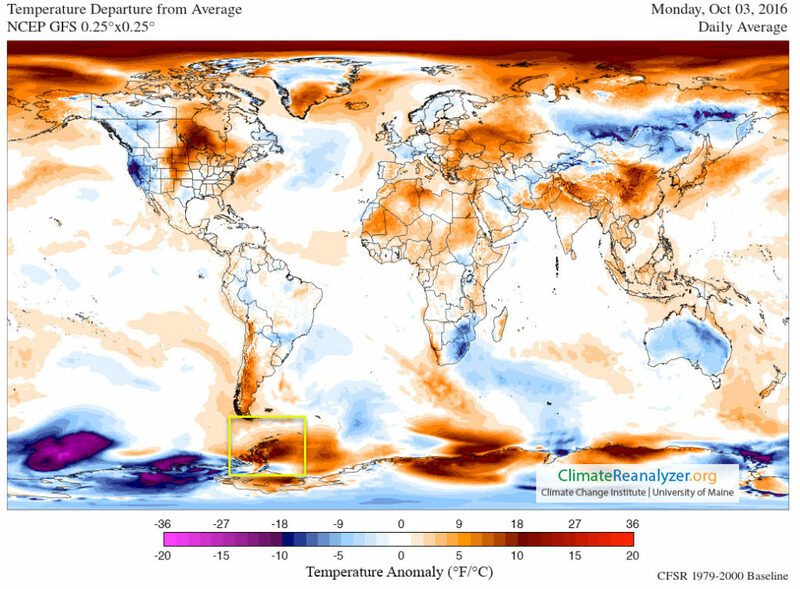 What is really good is if you look at the temperature anomaly (i.e. the departure from the average with a 1979-2000 baseline), it is very warm over the Weddell Sea. The temperature departure from average for NCEP output 3 October 2016. 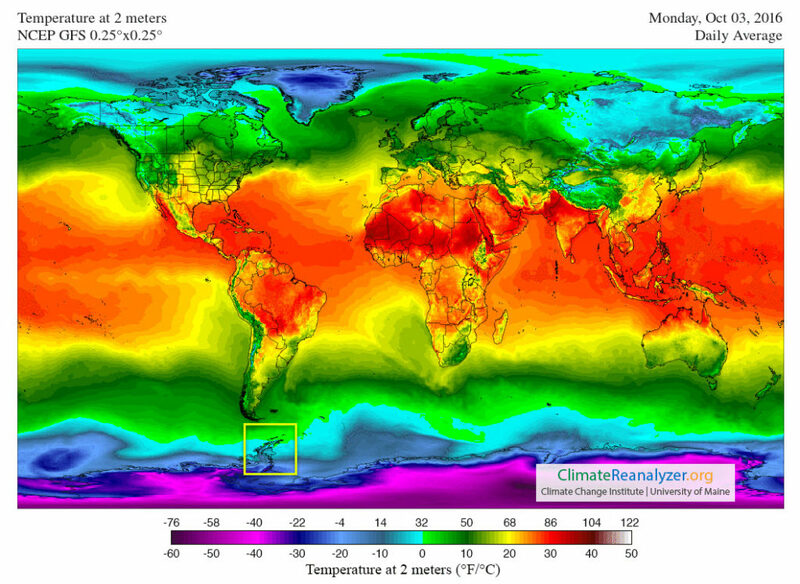 Image from climateReanalyzer.org. 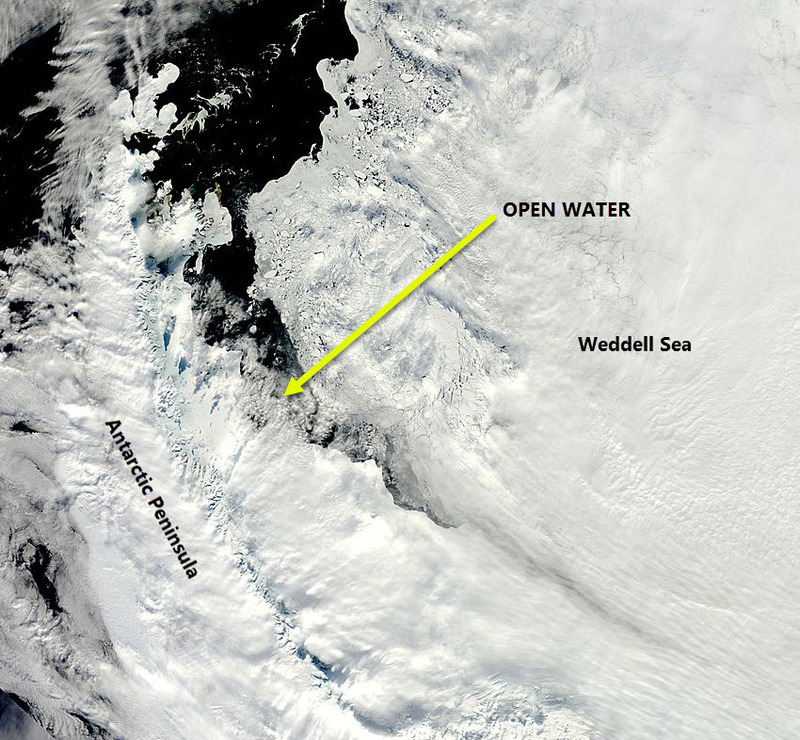 I think the reason it is warmer is because the Weddell Sea pack ice is looser this year. 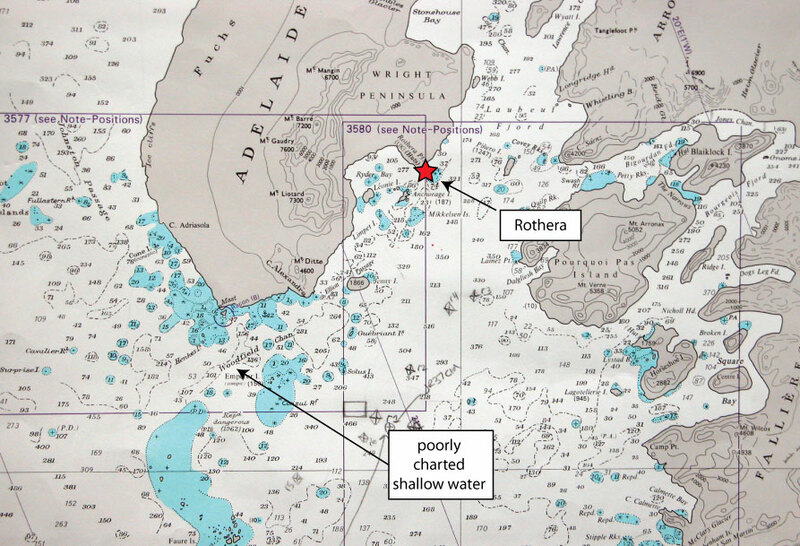 So (as you can see in the picture above) there is lots of open water. 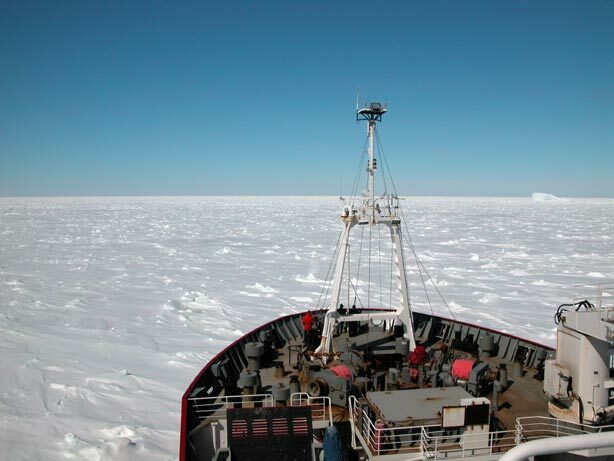 The atmosphere is being warmed by the ocean as the sea ice is being generated. 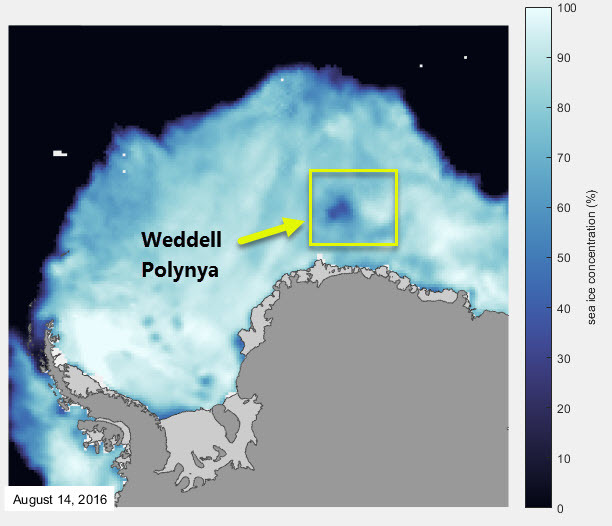 Another pointer to the pack being looser this year is that in August 2016 in the Eastern Weddell Sea there was a rare sighting of the Weddell Polynya. 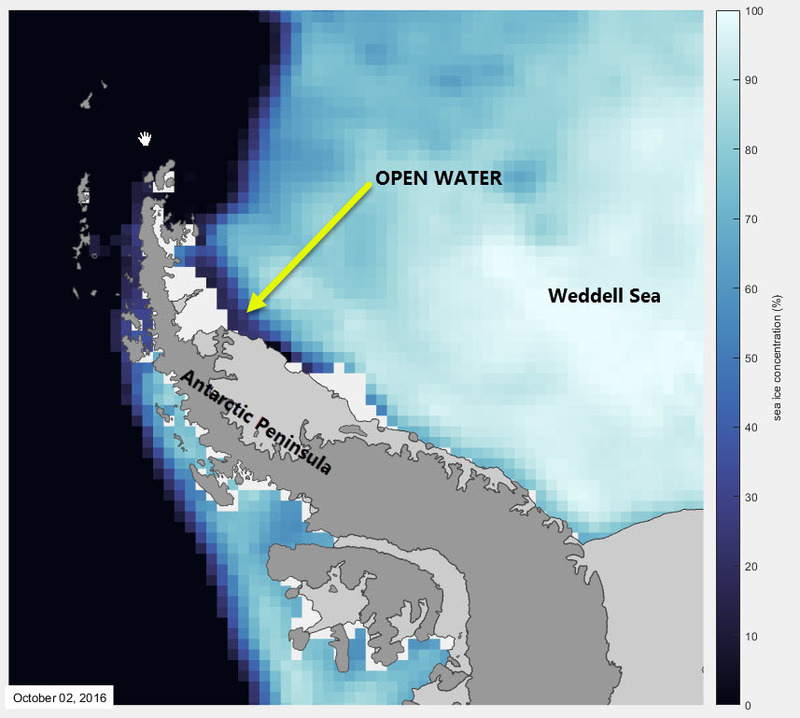 The Weddell Polynya as observed on 14 August 2016 in passive satellite data. It is a polynya with its own wikipedia page. 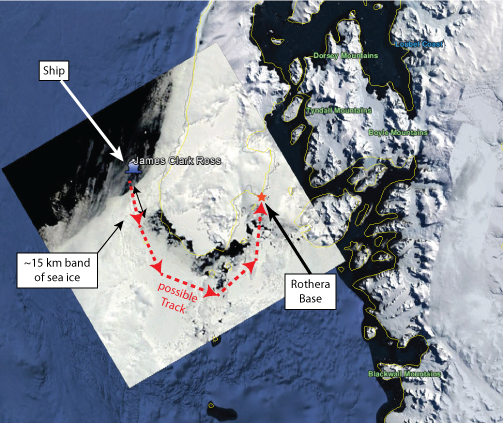 I think the Weddell Sea pack ice is more mobile this winter. 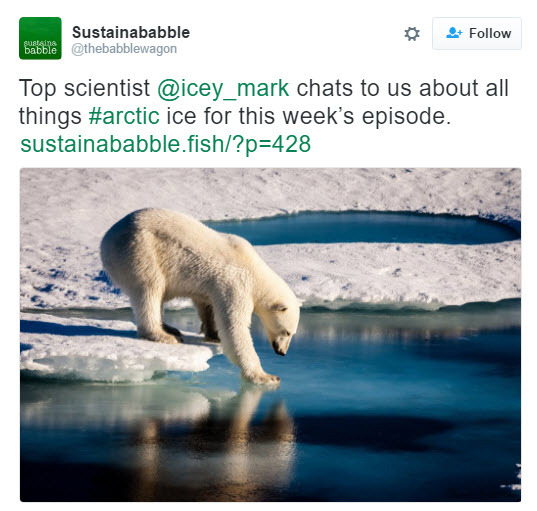 This is also telling us something about the difference between sea ice extent and sea ice thickness. 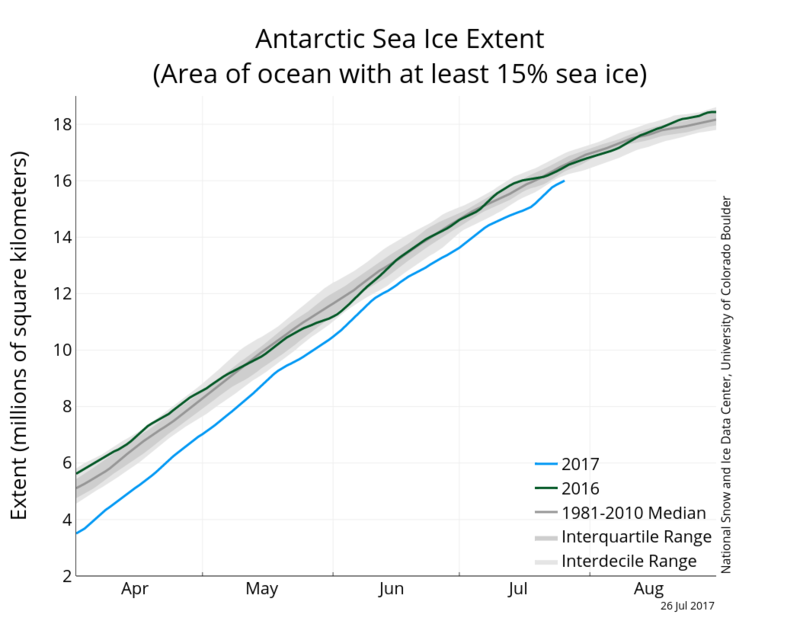 The sea ice extent is large and easy to measure in the Antarctic - but we don't know how thick it is. Posted in Science. 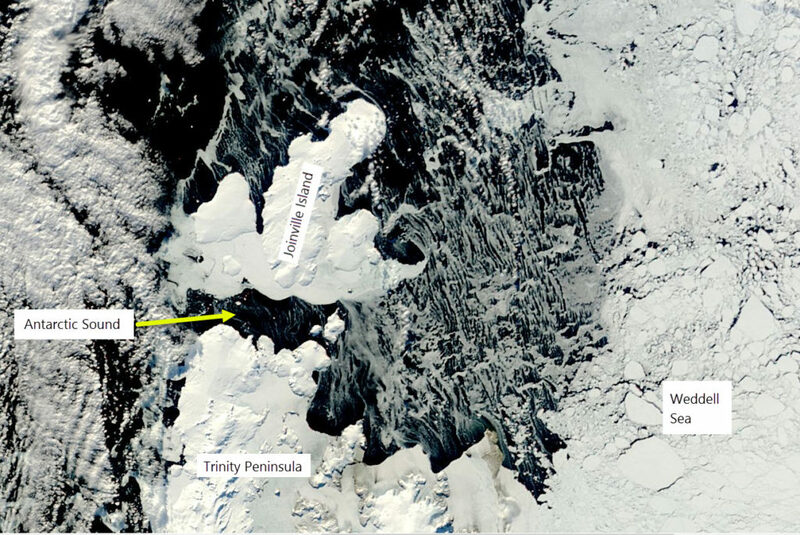 Tags: Antarctic, Antarctic Peninsula, MODIS, polynya, satellite, Science, sea ice, Weddell Sea on October 3, 2016 by Mark Brandon. 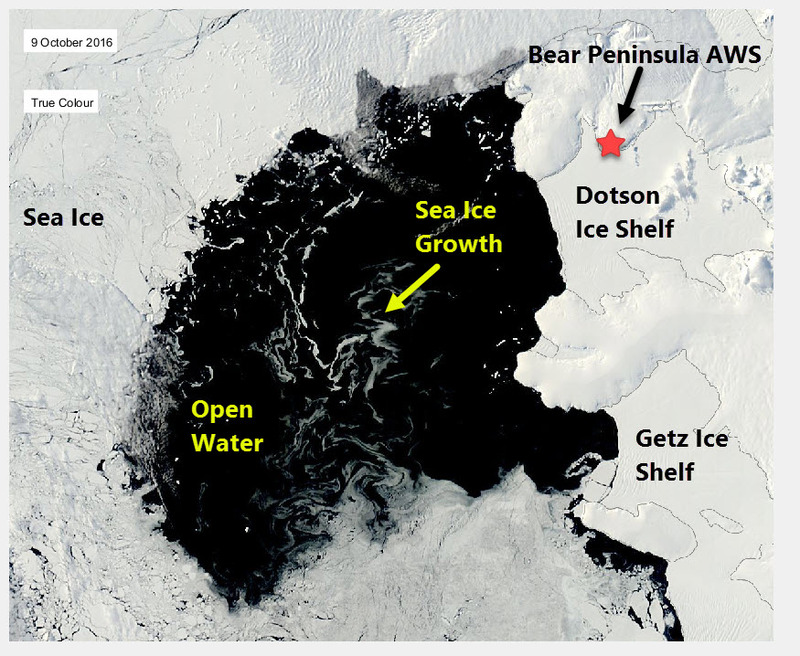 So why the missing sea ice at the top of the Peninsula? It could be a storm, or could be heat from the ocean keeping the area ice free. I'll have a look at the data when I've time, but for now I would bet on the ocean. Posted in Science. Tags: Antarctic, Antarctic Peninsula, Antarctic Sound, Joinville Island, MODIS, satellite, sea ice, Swedish Antarctic Expedition, Trinity Peninsula on September 16, 2016 by Mark Brandon.